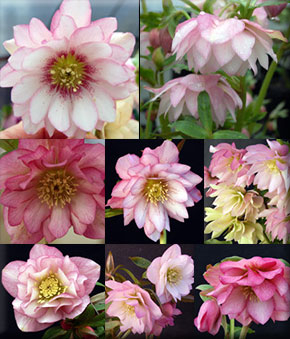 Bloom River Gardens is excited to introduce you to an incredible new group of single and double-flowered Hellebores developed by world-renowned hybridizers Marietta and Ernie O'Byrne of Eugene, Oregon. 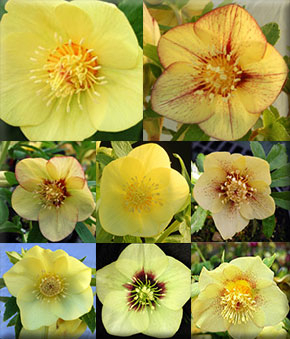 In their own words: " To insure the integrity of the strain, all of our stock plants are hand-pollinated and isolated from pollination by insects. They are individually bagged and collected by color strain to prevent errors. 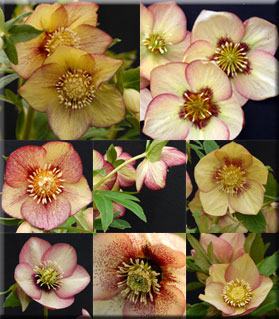 We strive for clean, clear colors, evenly shaped petals (actually tepals in a hellebore), good vigor, and, of course, a plentiful flower show. 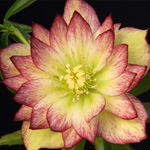 In the singles, we also select for flowers held vertically instead of drooping, or, if they do nod, we pay particular attention to the back of the tepals, which must show interesting coloration. Disease resistance is a priority in our breeding program. 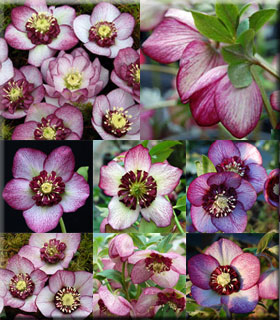 The flowers of hellebores have to nod somewhat to protect the pollen from becoming wet, since, at the time they bloom, they are exposed to extreme weather."